How does solar work, financing options | Freedom Solar, Inc.
Q: How does solar equipment work? A: The sun's light (and all light) contains energy. When light hits certain materials the energy turns into an electrical current, which we can then harness for power. Q: What are the advantages of installing solar? A: Reduce your electrical costs, increase your energy self-reliance, sell back your power to your local utility company and add value to your home. Q: Will solar work on my home or business? A: It depends on whether or not there is the necessary amount of sunlight and the amount of exposed roof space. This will be determined during the free consultation visit. Q: Will I need to adapt my home or business to run on solar power? A: No. Solar power electric systems will fit seamlessly into your home or business. Q: Is my utility bill really reduced? A: Yes! When you begin to generate your own solar power, your utility bill will drop significantly. How much you can save will depend on the size of your solar system and your electricity usage. When your solar system generates more electricity than your building can immediately use, your excess power flows back to the utility grid and your meter literally spins backward! A: Net metering allows utility customers to offset some or all of their energy use with self-produced renewable energy. Q: Do you work with the latest technology? A: Yes. We continue to evaluate new technology and will offer it to our customers once it becomes a reliable and cost effective option. Q: How do you determine what size system to install? A: Every home and business is different. The size of your system will depend on your energy needs, roof space and solar goals. Freedom Solar will custom design a solar power system to meet your specific needs and offset as much of your utility bill as you want. Q: Can I add solar panels to my system in the future? A: Yes. Solar power systems are very flexible and can easily be enlarged in future years..
A: Your solar energy system requires very little maintenance. All your system requires is occasional cleaning and inspection. We suggest that you keep an eye on trees and shrubs that may shade your system and keep them trimmed. Q: How reliable is solar power? A: Solar systems built today are very reliable. Systems installed 30 years ago are still producing lots of energy. There are no moving parts in solar panels which give them a potential life of over 40 years. Q: Do I need a battery back-up system? Q: What happens at night, or when the weather turns cloudy? A: Since the amount of power your solar system generates is a direct result of sunlight, it will produce less energy when the weather is cloudy. Your system will not produce any energy at night. Your power system will be interconnected to your local utility grid, so that you can automatically begin to draw power from the grid whenever you need it. You won’t experience any power interruptions—the switch between solar system power and the utility grid happens seamlessly, with no effort on your part. Q: What happens if there is a black out? A: In the event of a black out, your system is designed to turn off. This is a safety requirement by the utility company so that their technicians can safely repair down electrical lines. Q: How long will a solar system last? A: It can depends on the specific panel manufacturer but each manufacturer we represent warranties their panels for 25 years. SunPower warrants all panels, inverters and labor for 25 years on their Equinox systems, other manufacturers may warrant their inverters or other parts for 10-12 years. Q: Is it difficult to switch over to solar power? A: No. You won't experience any changes inside your home or business. Q: How long will it take to get my new solar system up and running? A: A typical solar panel installation takes about 3-5 days and a typical commercial installation takes about 1-3 weeks from the day we begin the installation. The length of time depends on the complexity of your roof and the number of panels that will be installed. Q: What kinds of permits are needed to meet local building codes? 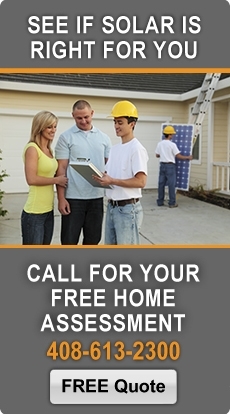 A: Freedom Solar will obtain all building permits and design your system to meet your local building codes. We’ll arrange the electrical, building and utility inspections and be on-site to make sure that everything is up to code. Q: What if my roof needs repairs after I've installed solar panels? A: Ideally, you should install solar panels on a roof that is in good condition. When a Freedom Solar consultant comes out to inspect your building prior to installation, he or she will check to make sure that your roof is suitable for a solar installation. Once the solar panels are installed, they actually help to protect your roof from the elements. If you should ever need to make repairs on the roof, the solar panels will need to be removed and re-installed. Q:Where do I view my solar monitoring? If you wish to monitor your system from a mobile app, please download the appropriate app from either iTunes or the Google Play store. Q:What do I do if my monitoring isn't working? A: Instructions to get your monitoring back up and running can be found on our Monitoring Page. You can download our Monitoring Policy at the bottom of that page. Q: Does a solar system make financial sense for me? A: Yes! Solar is cleaner and less expensive than power from the utility company. Solar is a smart financial investment because you will save money on electrical costs for years to come and increase your home value. Customers who purchase a system typically see a strong Return on Investment (ROI) and expect to recover their solar system investment as soon as 5 years. Depending on the rebates and incentives offered in your area, you may be able to pay back your system even sooner. Q: Will the government really give rebates and tax incentives for going solar? Q: Is now a good time to buy a solar system? A: We think so. Federal, state and local governments are offering generous rebates and incentives to go solar; however, these programs are designed to reward early adopters of solar power, so the rebate amount per project continues to drop as the allotted funds are consumed. In additions, solar can dramatically reduce your utility bill and will protect you from rising utility rates for years to come. A: Yes! Freedom Solar Freedom Solar offers several financing options to make your solar experience affordable. Our financing partners include SunPower, Clean Power Finance, and the San Jose Employees Credit Union. Q: What are my options at the end of the lease? •You can upgrade to a new system with the latest solar technology under a new lease. •You can extend your existing lease. •You can ask Freedom Solar to remove your system. Q: What if I move to a new home or business before the end of the lease? •You can transfer the lease to the new owners if they qualify with excellent credit. •You can also prepay the lease and include it in the asking price. Q: Can I decide to buy the leased system later? A: Yes. You can purchase the system in the 7th year of leasing at fair market value. Q: Does a lease include full-service. What is included? A: The monitoring service will alert you and Freedom Solar of any changes in performance. If we see a problem, we will give you call to help diagnose the problem and dispatch a repair team to fix it if needed. Q: Do I need to modify my home owner’s or business owner’s insurance? A: Prior to installing your solar electric system, we recommend you contact your insurance carrier to determine the impact on your yearly premium. Most insurance companies do not increase the premium and some are starting to reduce the premium. Q: What is property assessed clean energy financing? A: Property assessed clean energy, or PACE, financing allows property owners to fund energy efficiency, water efficiency and renewable energy projects with little or no up-front costs. With PACE, residential and commercial property owners living within a participating district can finance up to 100% of their project and pay it back over time as a voluntary property tax assessment through their existing property tax bill. Q: Why use PACE financing? Q:Who can take advantage of PACE? A: PACE financing is only available to property owners in certain cities or counties that have adopted a program. In general, PACE programs offer competitive financing terms to property owners with at least some equity in their home or business and have not been delinquent on their property tax or mortgage payments.